Brunch is a delightful blend of breakfast and lunch foods, each with a unique twist! 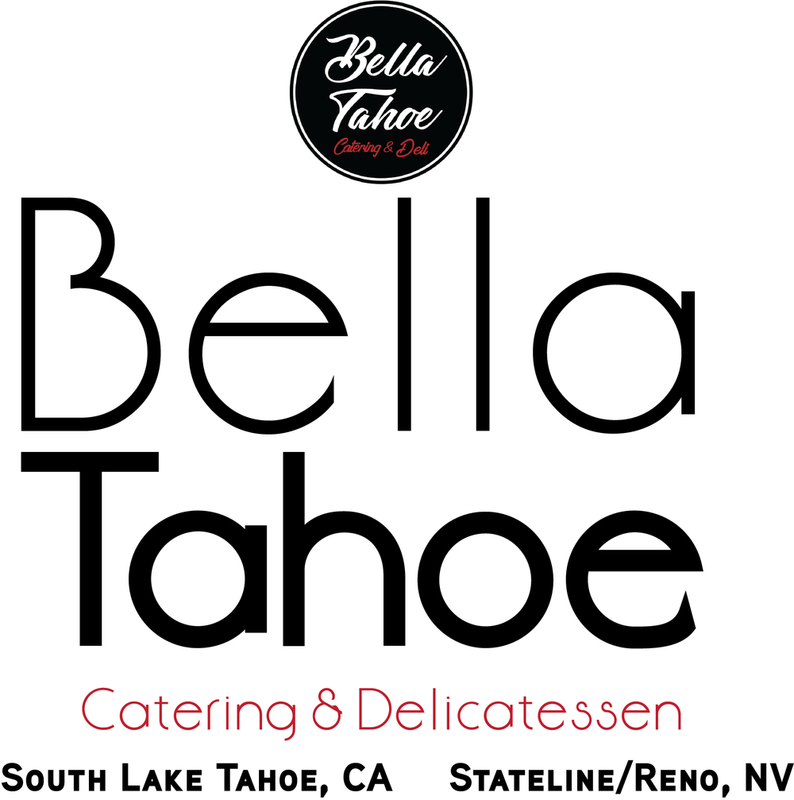 Bella Tahoe Catering & Deli gives you the freedom the plan a brunch that fits your unique event. Even more, you can choose from a variety of classics and fresh, signature takes on your favorite dishes. Each guest may choose one entree and up to 3 side dishes plus a drink. Note: Brunch is a fully-serviced catering package with unique options. Please ensure you've added the proper service options to your cart. Note: Brunch requires a chef for fresh preparation. Please ensure you've added the proper chef options to your cart. Assorted fillings: zucchini, tomatoes, spinach, onion, peppers, cheese, ham, bacon, shrimp, etc. fresh poached organic brown eggs, served over sliced ham on a toasted English muffin and smothered in a light hollandaise sauce. Fresh baked fluffy buttermilk biscuits smothered in a peppered sausage country gravy. Served original with maple syrup, fresh fruit and whipped cream. Large Belgium waffles served with fresh fruit, maple syrup, whipped cream. Large Belgium waffles served with fresh fruit, maple syrup, whipped cream, in a bar-style setup. Large Common Varieties both herbal and black. Pulp varieties of your choice. Price is based upon a head count of 25 guests or more. Included in the per person price are the menu items listed (per proposal). Labor, taxes and gratuity are extra and billed separately. Click here for the services section of the brunch ordering process. 1 server per 40 persons. 1 chef per 30 persons. Prices are subject to sales tax. 20% added to the final bill. Chefs and servers are not included in the listed price. The amount of staff required is based on the number of guests per event. Usually one server for every 25 people and one chef for every 50 people, depending upon the menu, with a four hour minimum. Head Chef Lockhart & Staff offer full coordination packages as well. Please contact us for pricing on coordination. We can help recommend venues, photographers, bakers, florists, and DJs. There may be additional charges to cater venues without an available kitchen, electricity, hot water or limited accessibility. There may also be additional labor charges for venues beyond a 20 mile radius of South lake Tahoe. If you need help finding a venue that’s right for your event, please request our list of local venues. An additional chef may be necessary depending upon the needs of your chosen menu. Five hour minimum. Additional hours are billed separately via this link. Sales Tax, service charge is not included in the listed prices and will be added to the final bill. Deposit of 50% is due to hold date and menu. Remaining balance is due 30 days prior to event.